Buy property in a trust or in my own name? YOUR life can change in a single minute - and so can your family's. Should you die, a will helps to ensure that your family’s needs are met according to your wishes. Die without one and the state decides who gets what, without any regard to your wishes or your family’s needs. FedGroup fiduciary services manager Wim Visser looks at the benefits of having a will, and what you should consider before drawing one up. 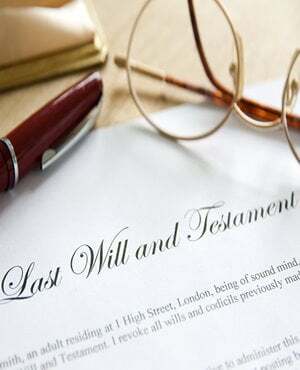 Did you know that about 10% of South Africans have a will? According to a recent market survey, the average South African quite happily spends a couple of hundred rands on a night out on the town, but holds back when it comes to paying the same sum to have a will drafted. - Choosing your heirs. Without a will, the law of intestate succession will determine who they are. - Nominating an executor. When you draw up a will, you can nominate a person or company you trust as executor. - Choosing a guardian for your minor children. This allows you to nominate a person who has the best interests of your children at heart. - Setting up a trust to protect the inheritances of your spouse and children. 1. Plan your will to be as straightforward as possible. 3. It is generally not advisable to draw up your own will, unless of course you are an expert. 4. Make sure that your will is feasible. 5. Be practical in the distribution of your assets. 6. Where possible, avoid commanding directives in your will. 7. Make sure that you understand the consequences of your will. 8. Nominate a guardian in your will if you have minor children. 9. Make provision for any maintenance obligations that you may have in terms of a divorce order. 10. It is advisable not to describe funeral arrangements in your will. There is more to a will than just filling in a form you can buy from CNA. It is important to consult a reputable financial services provider to prepare a will for you. After all, it is probably one of the most important documents you will ever sign, and represents financial peace of mind to those you leave behind.